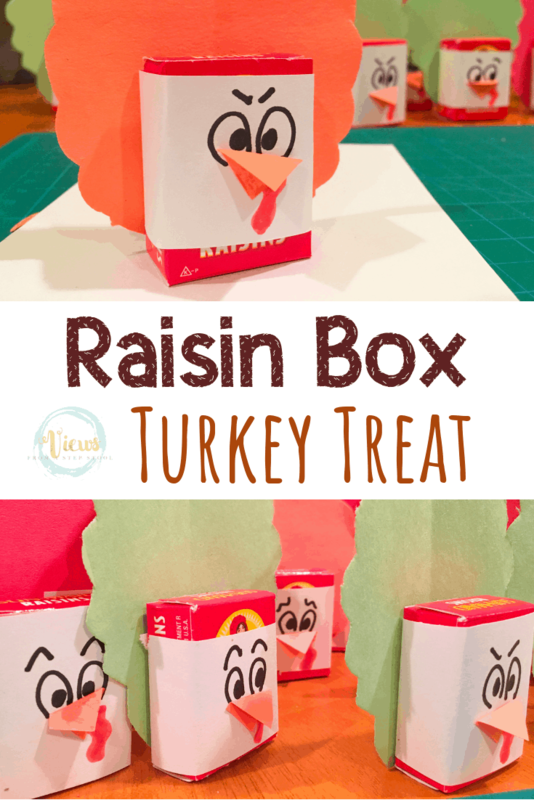 This fun Thanksgiving treat for kids transforms mini raisin boxes into turkeys! 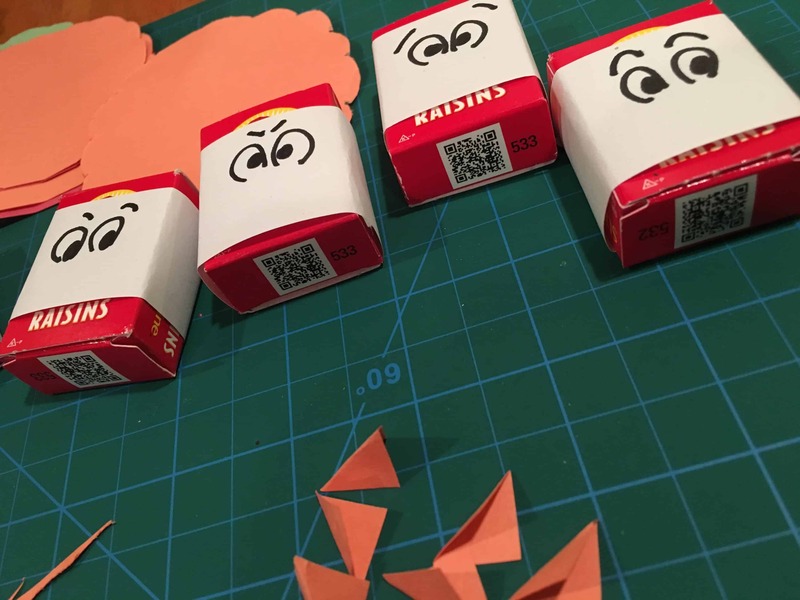 A craft and party treat all in one fun kids activity. 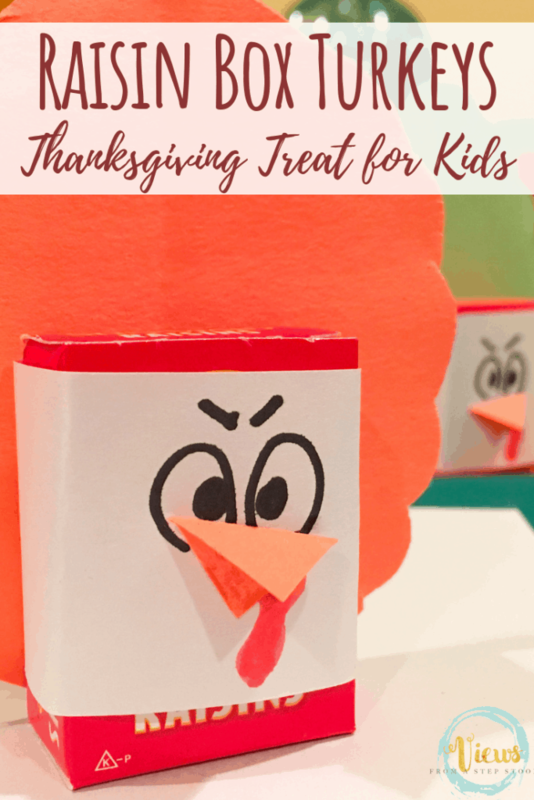 A great non-candy alternative to a party treat too! In trying to be allergy conscious, low in sugar, and tasty, raisins are a good treat for school parties. Pinterest can make treat-bringing daunting, as there are so many adorable ways to jazz up goodies! 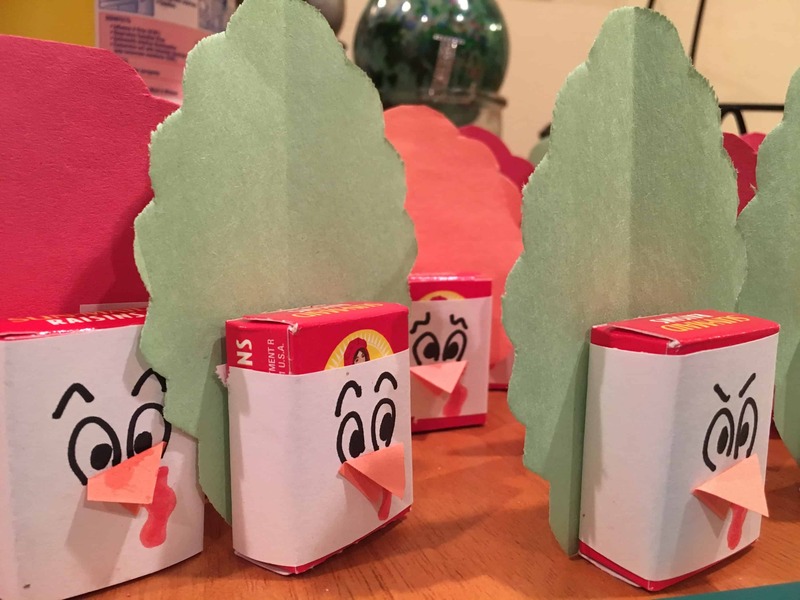 If you are looking for these kinds of ideas, here are some really fun Thanksgiving store-bought treats that have been decorated easily for party fare. 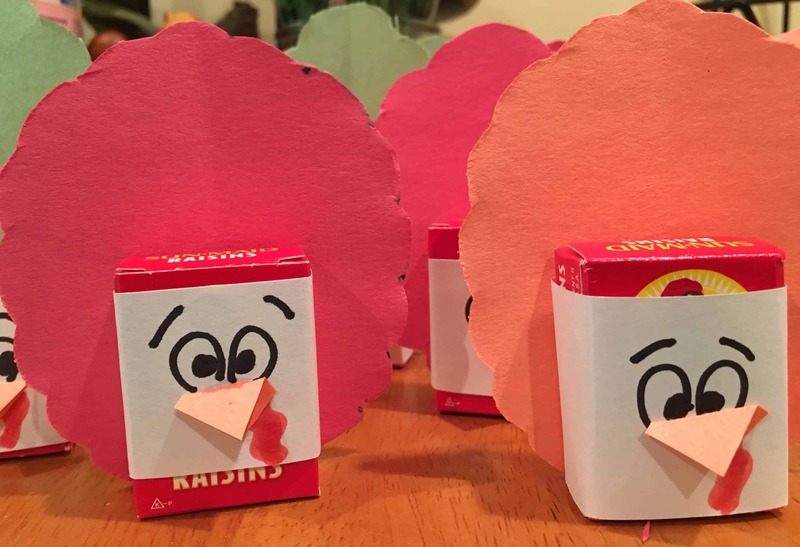 Check out this spin on this fun turkey craft that uses leaves as feathers as a fun Thanksgiving treat for kids too! 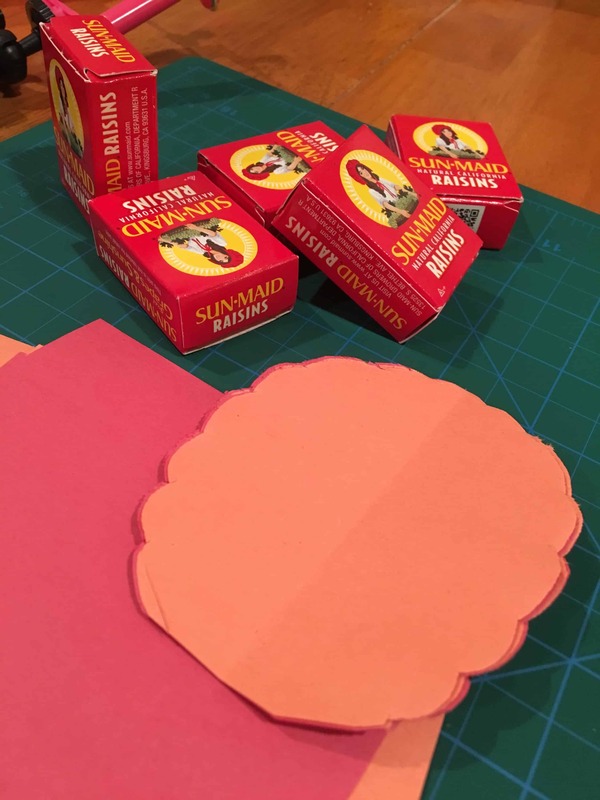 Cut paper feathers out of colored construction paper, triangle beaks out of orange paper, and white or brown strips to wrap as the body. 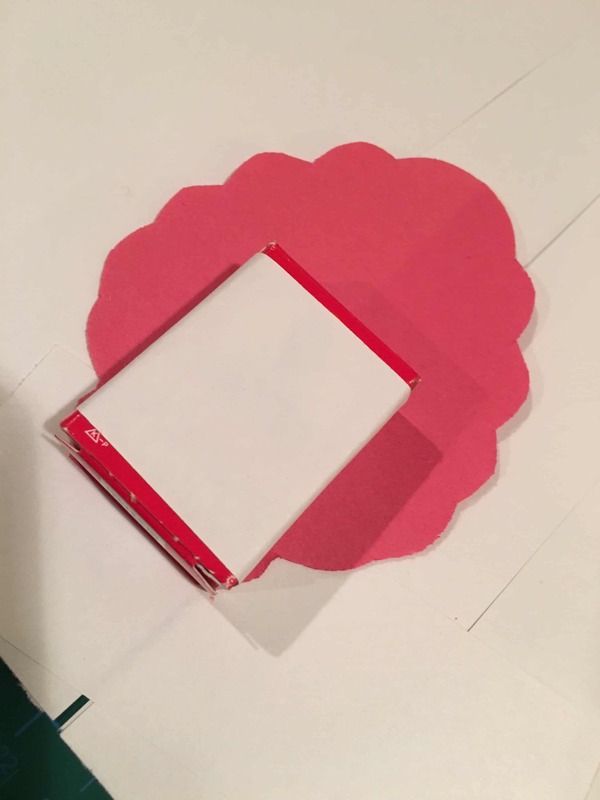 Wrap the raisin box in white or brown construction paper and tape to hold (I would have used brown but I didn’t have any on hand). With your markers, draw some eyeballs and wattles. I decided to add some eyebrows for facial expressions, I know my son would LOVE to receive an angry turkey! 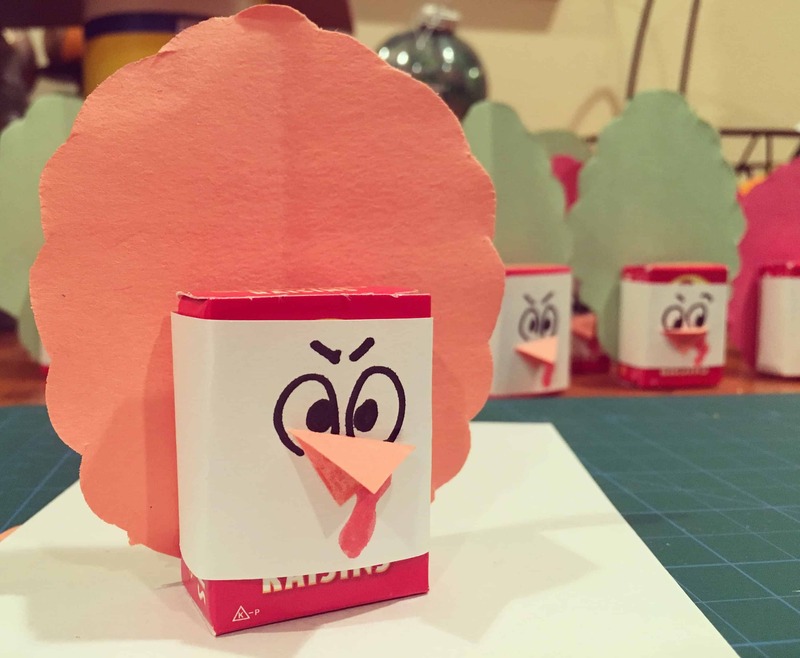 Glue a beak on the front of the box. 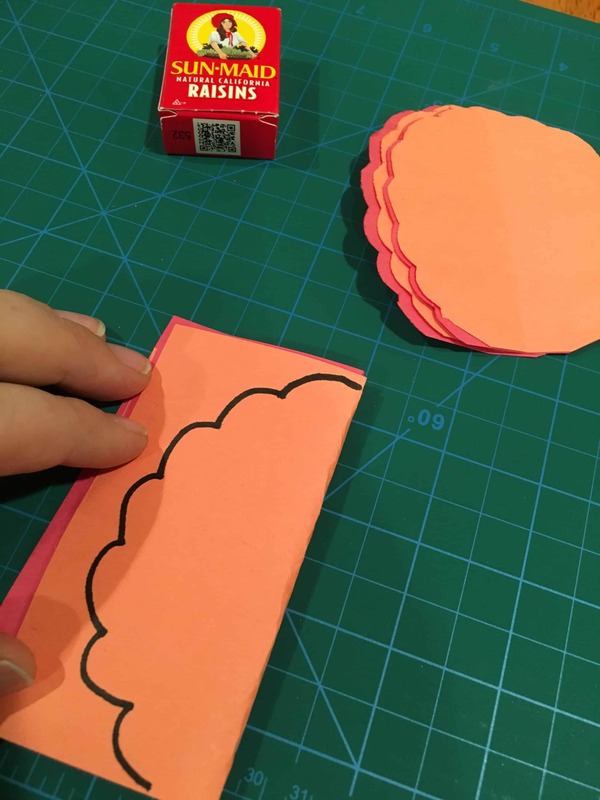 Tape the paper feathers to the back of the box. That’s it! 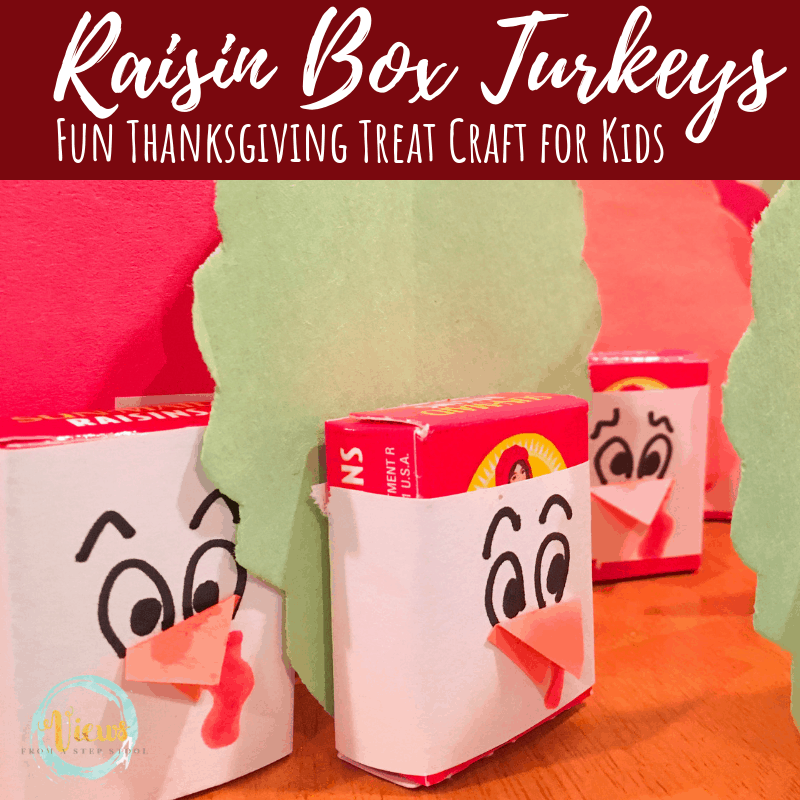 I hope your kids enjoy their raisin turkeys as a fun and festive Thanksgiving treat!